MILWAUKEE - Harley-Davidson, up against spiraling costs from tariffs, will begin to shift the production of motorcycles headed for Europe from the U.S. to factories overseas. President Donald Trump has used Harley-Davidson as an example of a U.S. business that is being harmed by trade barriers. Yet Harley has warned consistently against tariffs, saying they would negatively impact sales. Harley-Davidson Inc. sold almost 40,000 motorcycles in the European Union last year, generating revenue second only to the United States, according to the Milwaukee company. The maker of the iconic American motorcycle said in a regulatory filing Monday that EU tariffs on its motorcycles exported from the U.S. jumped between 6 percent and 31 percent, which translates into an additional, incremental cost of about $2,200 per average motorcycle exported from the U.S. to the EU. "Harley-Davidson maintains a strong commitment to U.S.-based manufacturing which is valued by riders globally," the company said in prepared remarks. 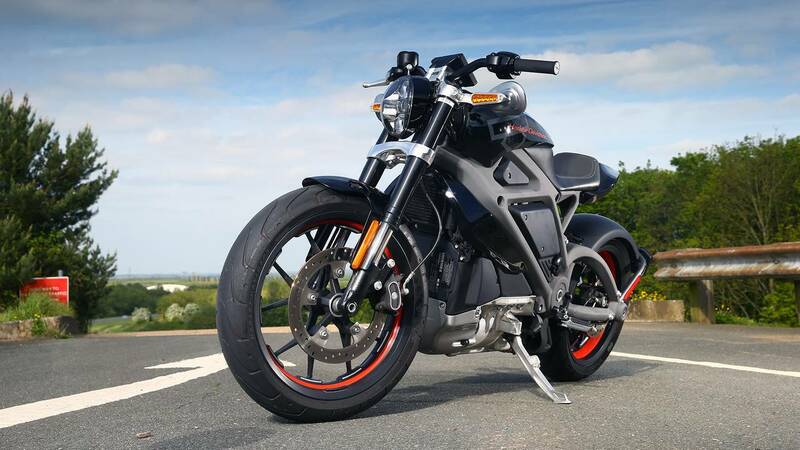 "Increasing international production to alleviate the EU tariff burden is not the company's preference, but represents the only sustainable option to make its motorcycles accessible to customers in the EU and maintain a viable business in Europe. Europe is a critical market for Harley-Davidson." Harley-Davidson will not raise its prices to avert "an immediate and lasting detrimental impact" on sales in Europe, it said. It will instead absorb a significant amount of the cost in the near term. It anticipates the cost for the rest of the year to be approximately $30 million to $45 million. Harley-Davidson said that shifting targeted production from the U.S. to international facilities could take at least nine to 18 months to be completed. The company is already struggling with falling sales. In January, it said it would consolidate its Kansas City, Missouri, plant into its York, Pennsylvania, facility. U.S. motorcycle sales peaked at more than 1.1 million in 2005 but then plummeted during the recession. Asked about the Harley decision Monday, Wisconsin Gov. Scott Walker addressed the issue of tariffs in general but not specifically the situation faced by the company. Increasing foreign investment in the United States, something Walker was in Washington advocating for at a U.S. Department of Commerce event last week, will also help reduce the trade imbalance and need for tariffs, he said. More potential pitfalls for Harley-Davidson and other U.S. manufacturers could be on the way. Last week German automaker Daimler AG cut its 2018 earnings outlook, a change that it says is partly due to increased import tariffs for U.S. vehicles in China. Daimler produces vehicles in the U.S.
On Monday, the vice president of the European Union's governing body said that Europe and China will form a group aimed at updating global trade rules to address technology policy, government subsidies and other emerging complaints in a bid to preserve support for international commerce. European Commission Vice President Jyrki Katainen said unilateral action by U.S. President Donald Trump in disputes over steel, China's technology policy and other issues highlighted the need to modernize the World Trade Organization to reflect developments in the world economy. The Wall Street Journal reported that the Trump administration plans to impose curbs on Chinese investment in American technology companies and high-tech exports to China. Associated Press writer Scott Bauer contributed to this story from Madison, Wisconsin.